19-year-old Creed has made three appearances as a replacement, including the 12-11 win at Sale last Friday, but will make his first start on the wing against the Saints at Kingsholm on Saturday afternoon. With Ollie Thorley, who lines up on the opposite wing, preparing for his third start in a row, the Academy has seen two players break into the first team in the last few weeks of the season. Creed’s debut is one of three changes to the starting line-up as Tom Marshall returns at full-back having missed out at Sale with tonsillitis, while Ben Morgan comes in for Sione Kalamafoni at number eight. Gloucester will obviously be looking to sign off in style for 2015-16 in front of their own supporters, and make it three Aviva Premiership victories in a row, but will be up against an opponent seeking to secure a top six finish with Harlequins and Sale breathing down their necks. Previewing the game with the local media this week, Director of Rugby David Humphreys admitted that Northampton come to Kingsholm with all to play for, but that he is looking for his own team to build on the two recent wins over Exeter and Sale. “There is pressure on Saints. I listened to Jim Mallinder talking about how important Champions Cup qualification is to them. When you look at where they are in the table, with the quality they have in their squad, it shows how competitive this league is. “It’ll be a big test for us this week, they’ve a strong team coming down and we’ll have to produce an even better performance than we did last weekend to compete. “We’ve a couple more injuries from last week’s game and we’ll be a bit stretched. But you’ve seen the young players come in and how well they’ve responded when they’ve had their opportunity. We look forward to seeing them perform again this weekend. “We all know how disappointed everyone was after the Dragons game. But it’s huge credit to everybody in the way that they’ve responded – the character, the determination, the hard work that’s gone into defeating Exeter and Sale. Gloucester Rugby have won their last two Aviva Premiership Rugby matches, at home to Exeter and away at Sale, but have not won three in succession in the tournament since October 2012. 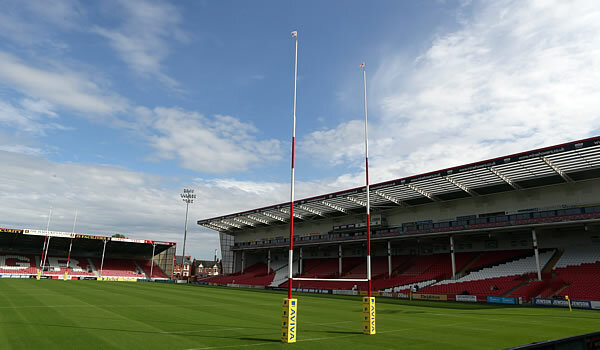 Gloucester’s only defeat in their last five Premiership rugby fixtures at Kingsholm was to Bath in round 18. 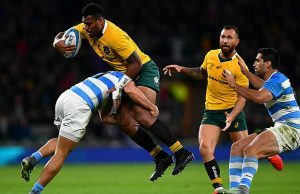 Northampton Saints require a victory to guarantee Champions Cup rugby next season, less if other results go their way. The Saints ended a three game losing run in all tournaments with their 15-14 win at home to Bath on Saturday. 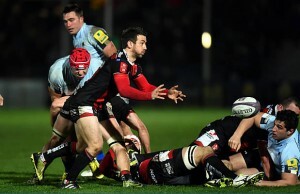 Saints only win away from homes since early February was on a trip to Saracens on 5th March. Northampton are unbeaten in their last four Premiership Rugby fixtures against Gloucester since the Cherry & Whites’ 26-24 win at Kingsholm in September 2013. The Saints have won just once at Gloucester’s citadel since 2009. Northampton Saints have name an unchanged starting line-up after they overturned a 14-point half-time deficit to see off Bath last weekend. Lee Dickson leads the side out having earlier this week stressed the importance of victory to the Saints’ Champions Cup qualification hopes. The Bookies have given Gloucester a 3 point start for this Match – with an offer of up to £200 in Bonus bets. Referee : JP Doyle (114th Premiership game).